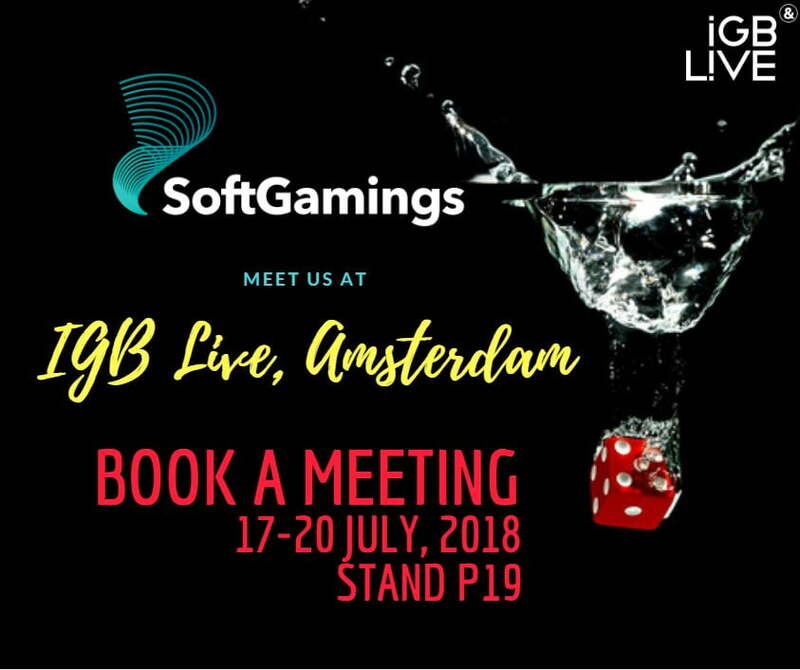 SoftGamings, an online casino platform developer and gaming systems aggregator will offer its existing and new products and services at iGB Live in Amsterdam on July 17 - 20, 2018. Press Release (ePRNews.com) - VALETTA/MALTA, RIGA/LATVIA - Jul 05, 2018 - Attendees will be able to get information about such “classics” as White label and Turnkey platform solutions, games aggregation and banking and licensing services, as well as about innovative products. One of them is Bonus System Standalone 2.0., an upgraded version of the SoftGamings unique bonus system. When Bonus System Standalone was released, it supported numerous features – loyalty and experience points, customisable user levels, loyalty shop, over 100 bonus parameters, achievements, gamification and many others. This year Bonus System Standalone 2.0. has been upgraded to include separate bonus and real balances, poker and sportsbook bonuses native support, free rounds, limit the amount of bet and amount of win on the fly and tournaments schedule. To learn more, please visit softgamings.com. SoftGamings has also paid a great deal of attention to cryptocurrencies this year, so the attendees of IGB Live 2018 will be able to get acquainted with two new products: a cryptocurrency payment solution and a licence for cryptocurrency projects. The SoftGamings cryptocurrency payment system is available in all the platform solutions offered by the company – White label, Turnkey, Self-Service and Bitcoin casinos. Allowing their players pay in cryptocurrencies, operators let them stay anonymous and accelerate the receiving of payments. The system supports all the most popular cryptocurrencies – Bitcoin, Litecoin, Ethereum and the cryptocurrencies based on them. The licence for cryptocurrency projects relates to one of the newest industry trends, projects based on the blockchain platform. In order to run such a project, an operator has to get a respective licence, which is offered by SoftGamings. Contact our licence experts to learn more. SoftGamings will also present its sportsbook offering, based on BetRadar solution. It is preferred by 180+ bookmaker worldwide, with 500+ websites and 10,000+ retail outlets, due to in-depth statistical data, wide customisation options and high-revenue making products. Players find this solution attractive due to fast bet cycles and immediate payouts. With SoftGamings you can get this and other products and services via single unified integration. The products will suit both new and existing SoftGamings clients. SoftGamings team will be available throughout all the days of exhibition at its stand P19, next to the bar. Everyone is welcome to meet the SoftGamings team and discuss business in a really friendly atmosphere, enjoying fascinating attractions. Two interactive transformer shows are scheduled for 11:30 am and 14:00 pm respectively, on July 18 and 19. The conference attendees will enjoy performances and photosets with Bumblebee, a “small” yellow Autorobot, and Optimus Prime, his bigger companion. Book a meeting to ensure yourself convenient time. SoftGamings is a B2B casino platforms provider and gaming systems aggregator. With over 10 years of experience in the industry, SoftGamings provides solutions demanded in the market and develops its own creative solutions – White Label, Turnkey, Self-Service, Bitcoin platform solutions, Bonus System Standalone, Sportsbook solution, Slots Bundle, Live Bundle and Casino Games Integration. SoftGamings’ strong IT team can also provide gamification possibilities, which is one of the major industry trends. Products portfolio includes 40+ gaming suppliers with 3000+ games. The company offers live dealer solutions from Evolution Gaming, NetEnt, Ezugi, Authentic Gaming, Lucky Streak etc, slots from NetEnt, Microgaming, BetSoft, Endorphina, Habanero, Booming Games, WorldMatch etc, Betradar sportsbook solution, hosting, licensing and banking services. Over 100 clients use SoftGamings products and services since 2007.